New Zealand's High Court has today ruled that the Ministry of Primary Industries (MPI) was negligent in allowing the Psa-V disease into the country in 2009. The class action was led by the Kiwifruit Claim, a group representing 212 members of New Zealand’s kiwifruit sector. Kiwifruit Claim chairman John Cameron said the verdict was highly significant for the kiwifruit sector and other primary industries, with the court establishing that the government-run MPI owed a duty of care to kiwifruit growers when carrying out its biosecurity functions. "We hope that this significant decision draws a line in the sand for what has been a long and difficult eight years for growers," Cameron explained. 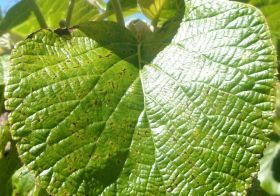 “The Kiwifruit industry alone is worth around NZ$1.67bn a year to the New Zealand economy, and MPI is the only agency in the country with the mandate to manage biosecurity risks." The decison was handed down in a 500-page document, which traverses events dating back 12 years. The Kiwifruit Claim's argument was built around the premise that Biosecurity New Zealand, a government body that has since been incorporated into MPI, was negligent when it allowed a specific shipment of anthers from a Psa-ravaged part of China to enter New Zealand. When the case went to trial in August last year the group was seeking close to NZ$400m (US$297m) in damages. Cameron hoped the New Zealand Government would accept the judge’s decision, allowing members of the Kiwifruit Claim to be properly compensated for their losses. "Some growers lost everything when PSA hit, their orchards and businesses, their life savings, and for many, the financial and emotional impact is ongoing," he said. “Even for those that were able to survive, some suffered a complete loss of income for several years, taking on huge debts to replant their orchards. Kiwifruit growers continue to suffer the effects of PSA eight years on." Cameron said the Kiwifruit Claim looked forward to working cooperatively with the government to achieve fair compensation for plaintiffs. Before compensation negotiations can begin, the government has 20 days to consider an appeal. In a prepared statement, MPI said it was carefully considering the court's findings and implications for current and future biosecurity activities. "We cannot rush this process," the statement said. "Once we have completed consideration of the judgment, a decision will be made on whether to appeal. That decision must be made by the Solicitor-General." Grower representative body NZ Kiwifruit Growers (NZKGI) also remained tight lipped. "The court has made its judgement," explained NZKGI communications manager Mike Murphy. "We will know soon whether either party is going to appeal that decision. Until then it is not appropriate for us to comment further, as we do not want to prejudice any possible appeal. "We always maintained it was every grower’s right to join the claim if they wanted to. Our advice was that they needed to consider their position carefully." Single-desk kiwifruit marketer Zespri expressed its concerns about the claim when it was launched, stating its preference was to strengthen biosecurity systems together with the government. 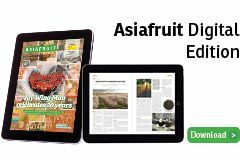 "We acknowledge the judge’s decision and we’ll take some time to consider the implications for our industry," explained Zespri chairman Peter McBride. "Zespri was not a party to the claim but growers were of course free to sign up to the claim if they chose and some did. "Psa has had a real impact on individual growers and we’re pleased now to see the industry set for strong growth, with our new gold variety Zespri SunGold leading this growth around the world."